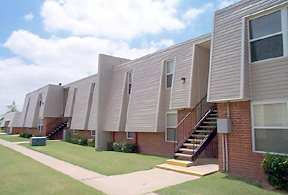 NMI purchased this 80 unit garden community located in New Albany, MS in March of 2012. The property was originally constructed in 1974. NMI acquired the property from the first mortgage lender following a judicial foreclosure. The property was 50% occupied and in very substantial disrepair. NMI’s renovation plan which includes new roofs, resurfacing drives and parking, HVAC replacement, unit restoration, pool renovation and installation of a new amenity package including cardio room, playground, bbq area and gazebo.